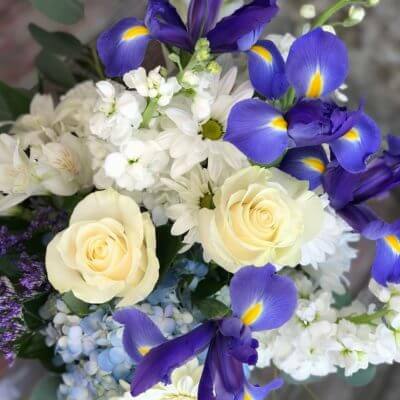 Voted #1 Florist in Manhattan for over 16 years. 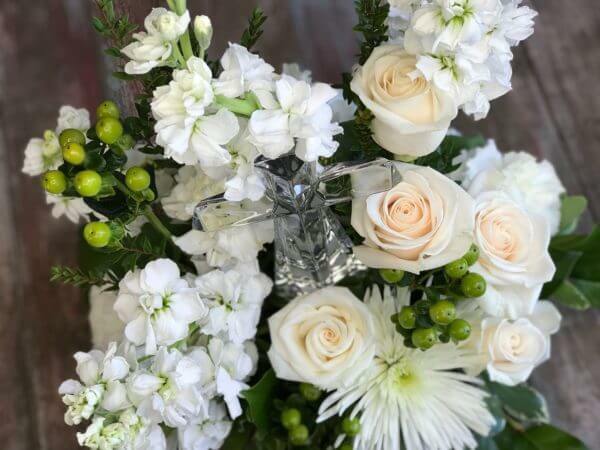 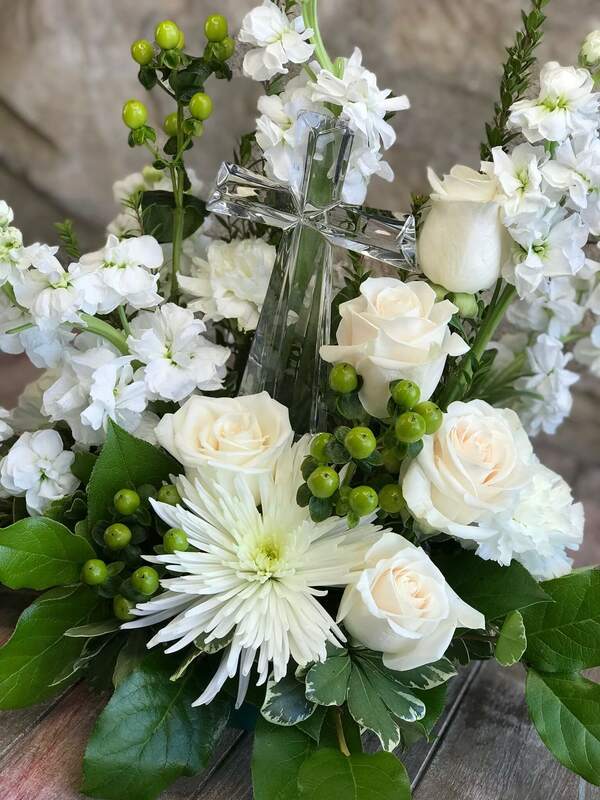 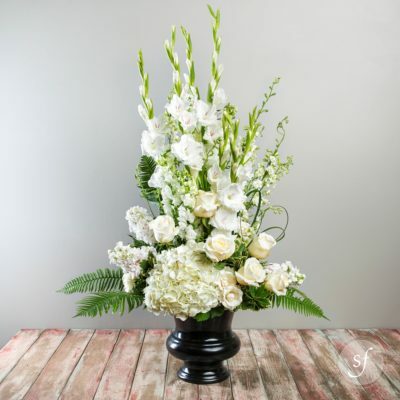 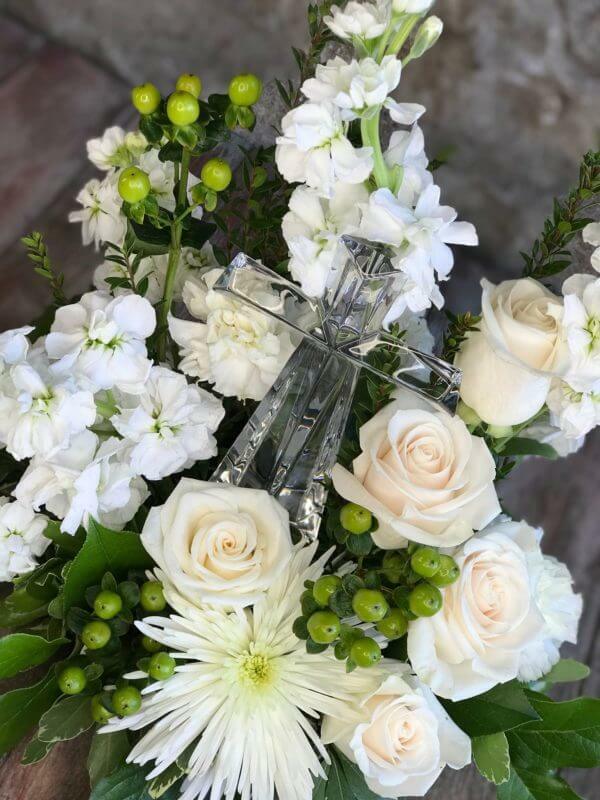 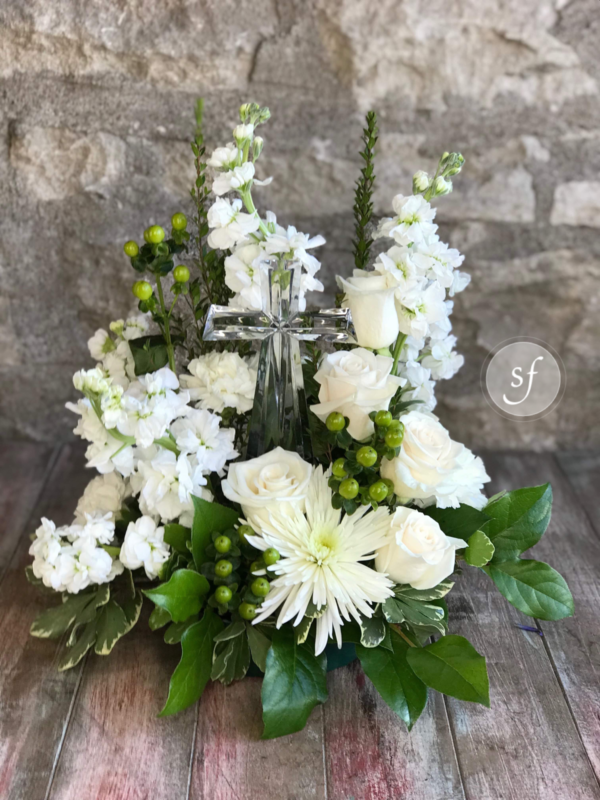 White roses, stock and hydrangeas surround a beautiful crystal cross in this container. 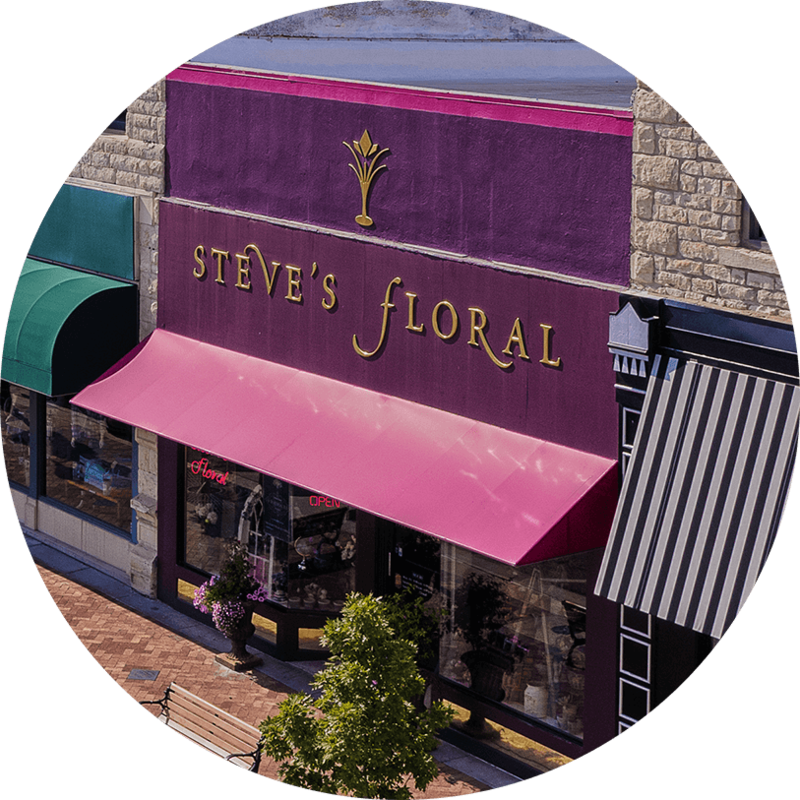 Celebrating its 30th anniversary in 2017, Steve’s has been in the same location on Poyntz Avenue in Manhattan, Kansas since 1987. 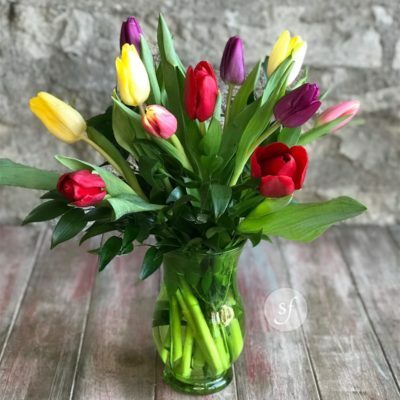 Jan bought the business from her brother, Steve, in 1990 and has been an active community member since. 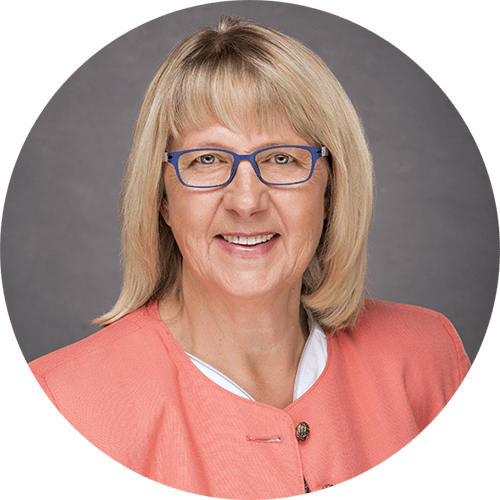 Read more about Jan HERE. 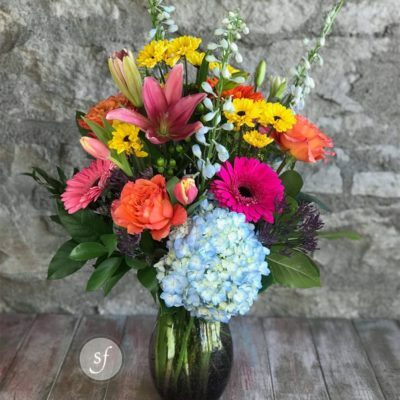 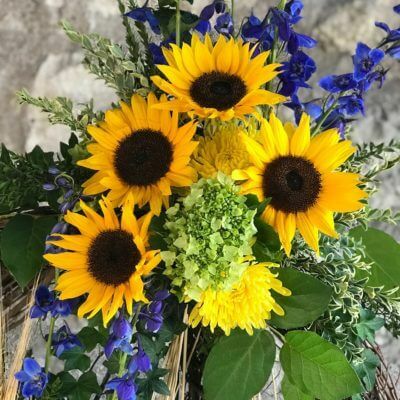 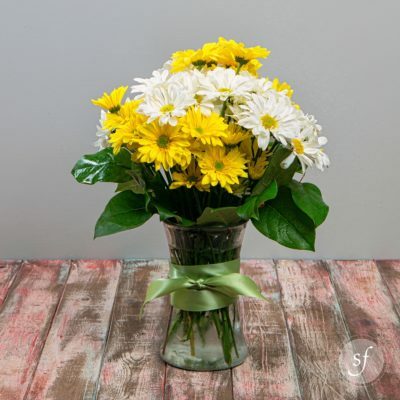 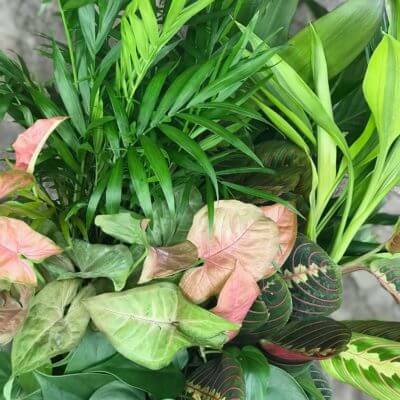 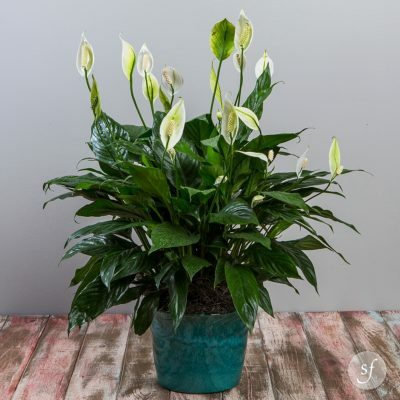 Hildegard Bembry has worked with Jan at Steve’s Floral for over twenty years. 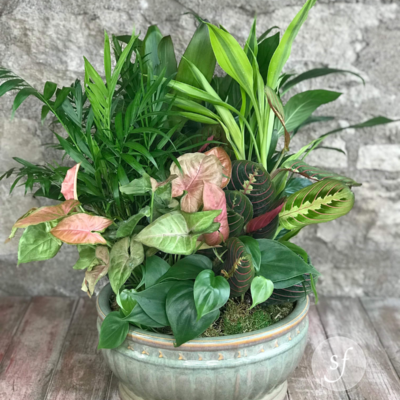 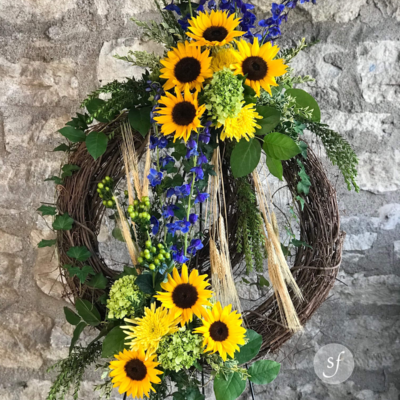 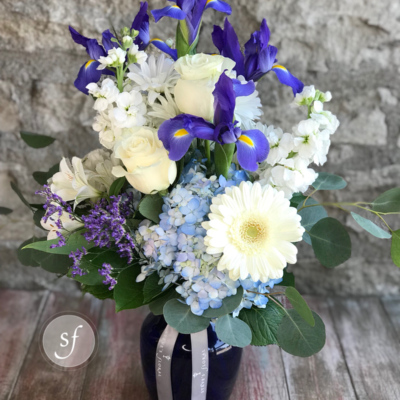 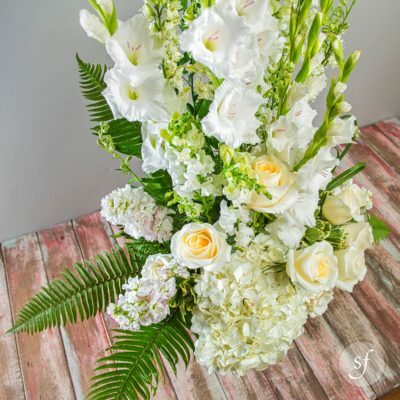 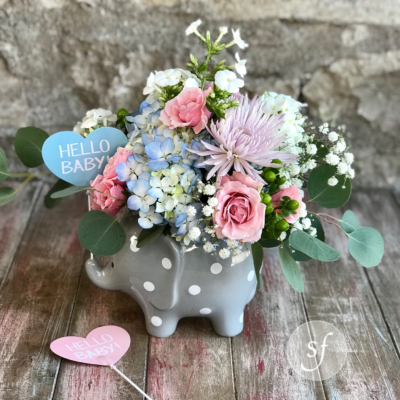 Responsible for the high-end quality of Steve’s arrangements, she is the only AIFD certified floral designer in the Manhattan area. 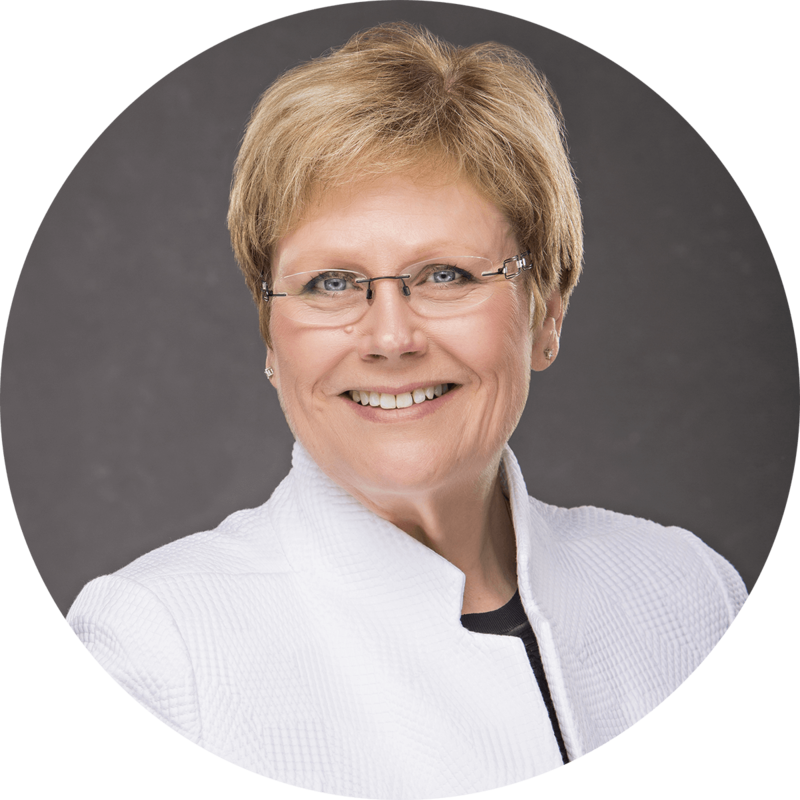 Becoming certified is a rigorous process and because of this, it is incredibly rare. 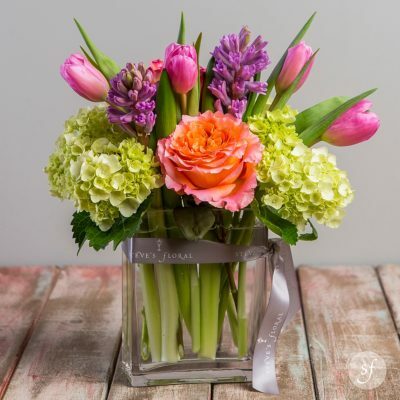 Read more about Hildegard HERE. 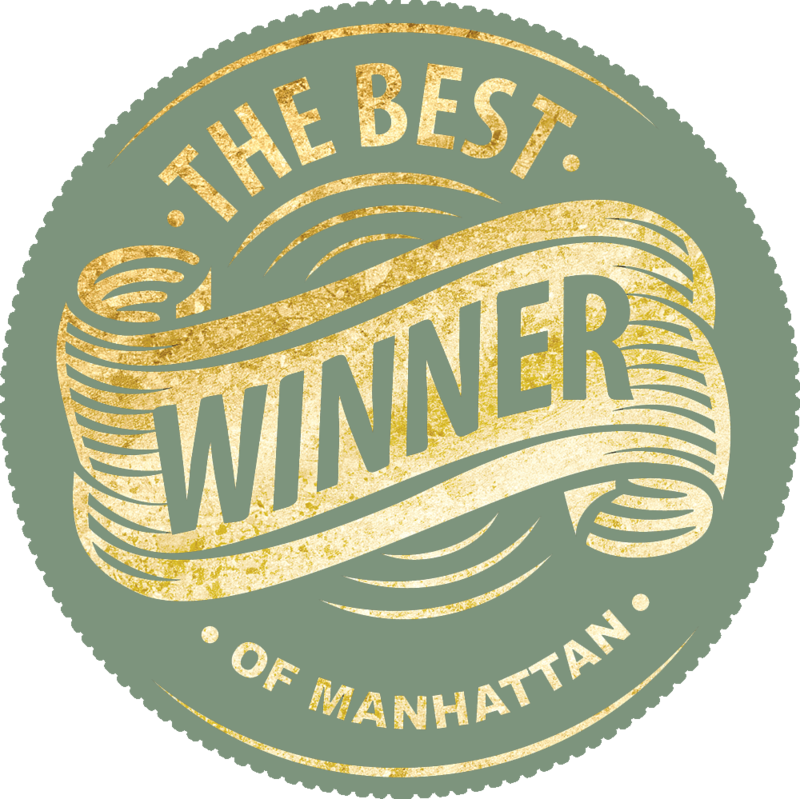 Steve’s has been voted the #1 Flower Shop in Manhattan by Mercury readers since the contest started in 2001.